It’s a banner day for display ads because digital display is developing into a more visual, richer, and relevant form of marketing called video display advertising. Of course, display has continued to be popular, accounting for almost 25 percent of U.S. retail ad budgets this year (estimated at $25 Billion). But a large portion of that budget was allotted for the new-and-improved version called hyper-targeted video display, which is expected to totally redefine digital display as we know it. Clickz.com featured more on how display ads will now be able to display more than ever. While traditional display has been perceived as disruptive to the user experience, the new concept of adding video to display ads results in a more relevant, richer, and rewarding user experience. And by leveraging market data and having a singular view of consumers across the multiple screens they use to consume media, video display advertising is much more likely to align with an advertiser’s marketing tactics and goals. The technology that lets display advertisers gain this newfound singular view is called HTML5 technology, which provides 50% better cross-device deliverability and allows for more engaging, faster-loading creative. Experts say that the alliance of display, video, and HTML5 will soon become the industry standard. This trifecta of technology is already being embraced by many brands that are pairing instant video display ads with more interactive elements to maximize their ad spend. This allows brands to integrate additional multimedia into ads to provide consumers with much more information about products. The result is a more informative ad, a better user experience, and much higher engagement. Testing is important for optimal ad performance. And the growing popularity of programmatic display provides much faster and better ad testing opportunities than ever. With HTML5, testing will become quicker and easier because it separates the elements of an ad to allow for testing infinite variations of ads extremely quickly. 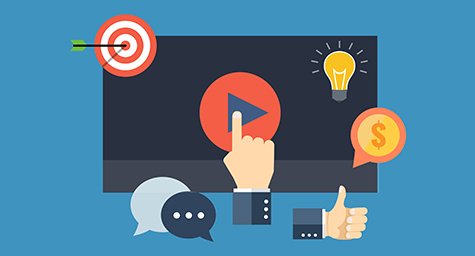 As a result, advertisers can serve up better-targeted video display ads, which increases engagement even more. While creating longer ads packed with content may seem counterintuitive with consumers’ limited attention spans, research shows that consumers say they actually appreciate and like online advertising as long as it’s relevant to their interests and delivers content that meets their needs. Today’s trend of enriching display ads with video, HTML5, interactive elements, and programmatic technology gives consumers what they want, while achieving the engagement and results that advertisers need. See the big picture in video display advertising. Contact MDG Advertising.